These thrilling natural experiences are possible on board our exclusive vessel featuring cabins with private balconies and ceiling to floor windows. Make yourself at home with great on-board amenities, like a lively bar and lounge, a cozy reading room, an al fresco lounge, and a dining room providing exceptional culinary offerings. An outdoor hot tub on the observation deck is available for your enjoyment. 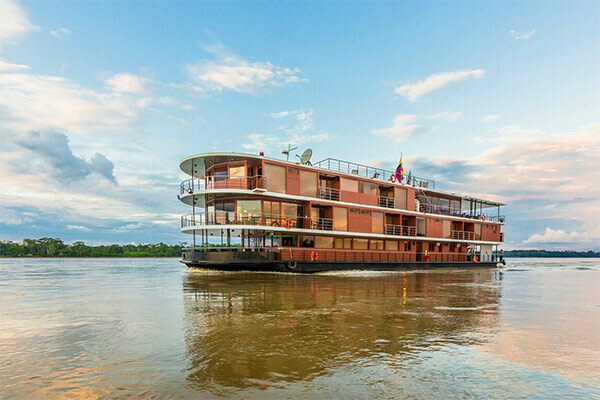 We want to ensure that you experience the perfect rainforest adventure in full comfort, navigating deep into the heart of one of the new seven wonders of the natural world – the Amazon. 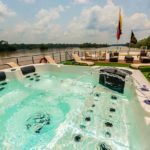 During this 8-day Amazon Cruise on board the Manatee Amazon Explorer, you will enjoy a cruise of the Napo River on board the first class Manatee River Boat. Private & personalized meet and greet service at the Quito and Coca airports. Exclusive access to Manatee’s VIP Airport Lounge* (before and after the cruise) with coffee, tea, water and light snacks. DAY 1 | MON | Welcome to the Ecuadorian Amazon | D.
Upon arrival to the frontier town of Coca, we transfer to the dock, and embark in a motorized canoe navigating down river about an hour and a half, then board the M/V Manatee for a seven-night cruise in A/C. 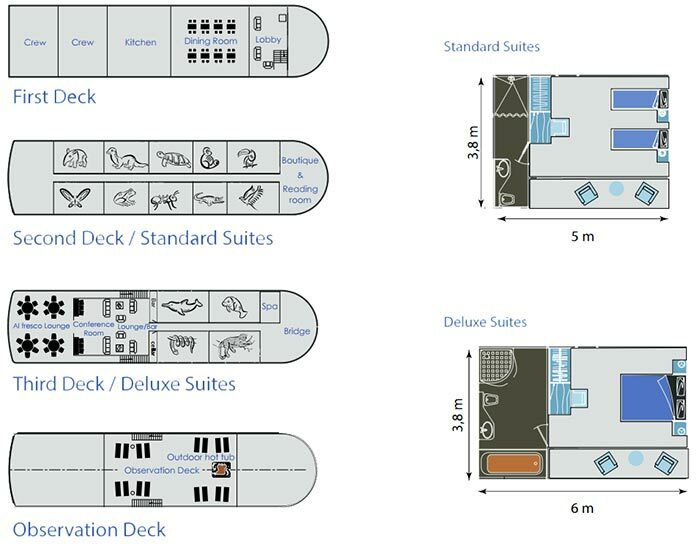 standard cabins. 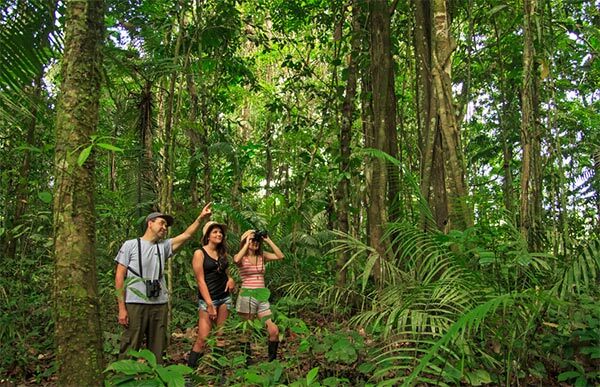 Throughout the journey admire the rainforest landscape along the banks of the great Napo River. Immediately after boarding the M/V Manatee, we continue the journey downstream. Here we have our first opportunity to enjoy the exciting features of the cruise ship: spacious social areas, comfortable suites, and an observation deck that provides spectacular views. An evening walk is organized after sunset giving us the opportunity to discover the forest’s nocturnal activity and listen to the continuous sounds of nature. DAY 2 | TUE | Border with Peru (The Heart of Yasuní) | B.L.D. After breakfast, we disembark on land for our first up-close-and-personal tropical rainforest experience. We learn about the relationship between plants and animals while closely watching for samples of Amazonia’s fascinating biodiversity at every turn. After lunch, the M/V Manatee steers to one of the most pristine and little explored sections of Ecuadorian Amazonia, home to the legendary pink river dolphin, black caiman, and anaconda. We may also find river turtles and various species of monkeys, as well as the primitive Hoatzin, a one-of-a-kind bird locally known as “the Stinky Turkey”. 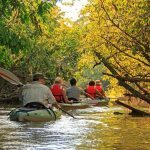 The only way to actually visit this flooded ecosystem is by canoe, a ride that will reveal the beauty of a lush jungle world. DAY 3 | WED | Meeting the Community – Activities on Board – Island Exploration | B.L.D. After breakfast, we visit a school located on the banks of the Napo River, where we have the opportunity to interact with children of the area and learn about the educational system of a remote jungle community in Ecuador. We return to the M/V Manatee for lunch and a moment to relax while we continue upstream. A lecture and documentary screening is offered and if time permits, learn about (and make) typical handicrafts of the area. 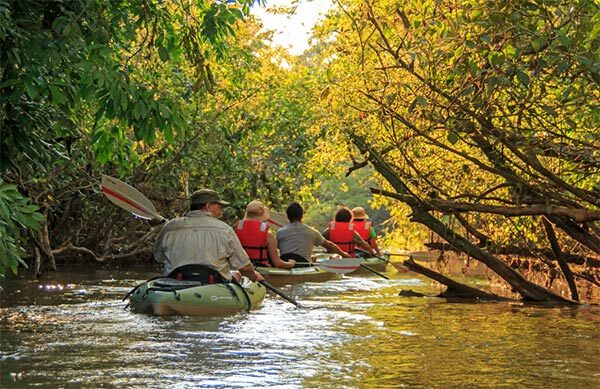 In the afternoon, we explore one of the largest river islands of the Napo River. DAY 4 | THU | Observation Tower – Limoncocha Biological Reserve | B.L.D. After breakfast, we visit an observation tower built 100-feet high, against a giant kapok tree. From the top of the tower we have a unique perspective of the forest as we look over the treetops and experience the greatness of the Amazon Basin. 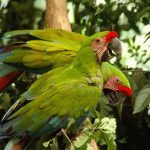 In the afternoon, we visit Limoncocha Biological Reserve, a protected area where more than 478 bird species and several monkey species have been recorded. This activity will extend into the evening, when we have a chance to spot black caiman with the help of flashlights. Return to the M/V Manatee for dinner. DAY 5 | FRI | Indillama & Napo Rivers – Yasuní National Park | B.L.D. After breakfast, we kayak through Napo River’s tributary, Indillama River, which takes us into Yasuni National Park. Since kayaks are silent as they travel down river, much of the wildlife remains undisturbed as we pass through. DAY 6 | SAT | Visiting the Pañacocha Biological Corridor | B.L.D. After breakfast, we continue our course downstream to the Pañayacu River delta where we take a canoe trip up the river to experience the sights of this reserve. 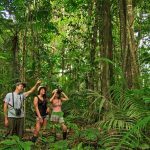 We seek out Pink River Dolphins, Common Squirrel Monkeys and much more. Pañacocha (Piranha Lake, in Quechua) is an ecosystem flooded by white waters. These rivers and lakes are a perfect habitat for the infamous Piranha, as well as the Water Monkey Fish (Arawana) and White Caiman. After a refreshing swim (for the courageous! ), we enjoy a delicious Amazon-style BBQ meal at a nearby camp site. In the afternoon, we set out on the exploration trails, and return onboard for dinner. DAY 7 | SUN | Clay Licks – Sani Warmi and Yasuni National Park | B.L.D. 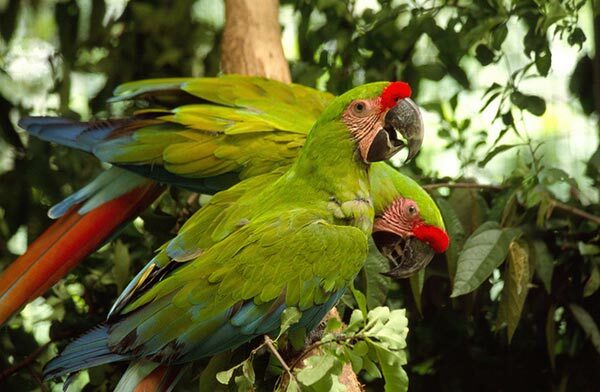 After breakfast, we visit one of the most amazing spectacles this side of western Amazonia known as Parrot Licks. These unique pools of mud are rich in minerals and attract hundreds of parrots, parakeets, and amazons every day. If weather permits, we will have a chance to marvel at this astonishing natural phenomenon. Later we visit the Sani Warmi Kichwa Interpretation Center, where a group of Kichwa women will speak of their customs, cuisine, and everyday life. The center was created in order to showcase the Amazonian culture, and it is a unique opportunity to learn about their lifestyles along the Napo River. Here you have the opportunity to buy crafts, local products, and souvenirs. After lunch, we stop at the Yakukawsay Kichwa Interpretation Centre, and end with an evening walk through the forest (depending on accessibility, river water levels, and weather conditions). DAY 8 | MON | Coca / Home / Next Destination | B. In the morning, disembark the M/V Manatee and transfer by motorized canoe to Coca. *NOTE: The detailed itinerary above is a standard model of our operation. 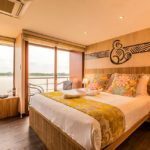 We intend to offer everything as planned, but it is important to note depending on technical or operational difficulties beyond our control, the M/V Manatee Amazon Cruise reserves the right to modify the itinerary without notice. ² Child rate applies up to two children, 11 and under, with two full paying adults, occupying one cabin. **VALID FOR MONDAY ARRIVALS IN COCA THROUGH 2019. PLEASE CALL FOR AVAILABLE DATES. DAY 1 | Welcome to Quito, Ecuador! 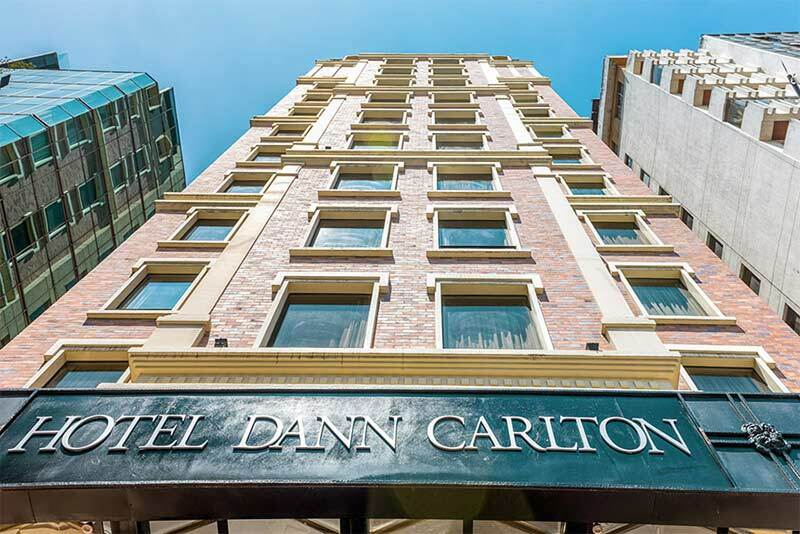 Meet and greet service upon arrival to the Quito Airport by your local host for your private transfer to the first class Dann Carlton Hotel for a two-night stay with breakfast and taxes included. DAY 2 | Private Quito City Tour & Middle of the World Monument | B.L. Following an early morning breakfast, we head out to Quito’s old town, or Centro Histórico, declared a UNESCO World Cultural Heritage Site since 1978. We begin with one of Quito’s highlights: its breathtaking views. At Alameda Park and the Basilica, we will admire the staggering hills on which the city was founded followed by a walk along one of Quito’s oldest streets, García Moreno (also known as the Street of the Seven Crosses), which dates back to pre-Columbian times. As we reach Quito’s main square, Independence Plaza, we take a peek inside the Presidential Palace, the main Cathedral, La Compañía Church (considered one of the continent’s most spectacular monumental buildings), San Francisco Church (the oldest in Quito and the largest religious complex in South America), and its spectacular cobblestone square. Around midday, we head north to the Equator to visit the ‘Mitad Del Mundo’ (Middle of the World) monument. You may choose to visit the Ethnographic or Inti-ñan Museums, both located near the monument site, which highlights the particularities of being situated right at the meeting point of two hemispheres, straddling the Equator. Along the way we will stop for a traditional Ecuadorian lunch. We then head back to Quito and transfer guests back to their hotel. Lunch is included. DAY 3 | Quito Hotel / Quito Airport / Coca Town to begin First Class Amazon River Cruise | B. 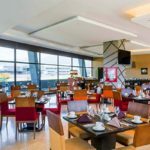 Meet and greet service upon arrival to the Quito Airport by your local host for your private transfer to the first class Dann Carlton Hotel for a three-night stay with breakfast and taxes included. DAY 3 | Private Otavalo Market Excursion | B.L. DAY 4 | Quito Hotel / Quito Airport / Coca Town to begin First Class Amazon River Cruise | B. 2 Notes: Child rates apply up to 2 children under 12 yrs. of age sharing existing beds in a double room with two adults. Triple shares existing bedding arrangements. 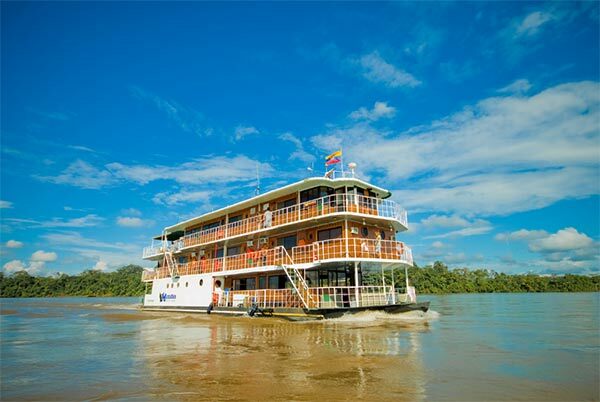 In Napo – Coca / Ecuadorian Lower Amazon: M/V Manatee Amazon River Cruise. The Manatee has interior and exterior dining areas that are located on the Main Deck and Sun Deck respectively. The on board chefs prepare a spectacular variety of both national and international cuisine. The Sun Deck also houses the well-stocked bar and conference room. The conference room has a flat-screen television, projector and comfortable seating, and it is here where your naturalist guides will give informative talks and detail the following day’s activities. This room also has a computer lounge with internet service (be warned it is very slow! ), as well as a small library. The Manatee also carries one and two-man kayaks for use on occasion by guests. No previous experience is necessary and this is a great way to get close to the wildlife on the riverbanks, and it is also great fun! 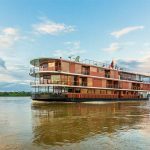 The exciting itineraries are carried out with a heartfelt commitment to the communities and nature of the Amazon and the variety of excursions is ample and compelling. Although expedition cruising by its very nature is characterized as adventurous, the safety of the staff and passengers is of paramount importance. The Manatee Amazon Explorer is fully equipped and maintained in order to handle the most challenging conditions and circumstances, and is manned by experienced and conscientious expedition staff and crew. Meal Codes: B=Breakfast / L=Lunch / D=Dinner. 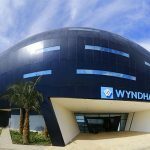 In Quito, Ecuador: Wyndham Quito Airport. 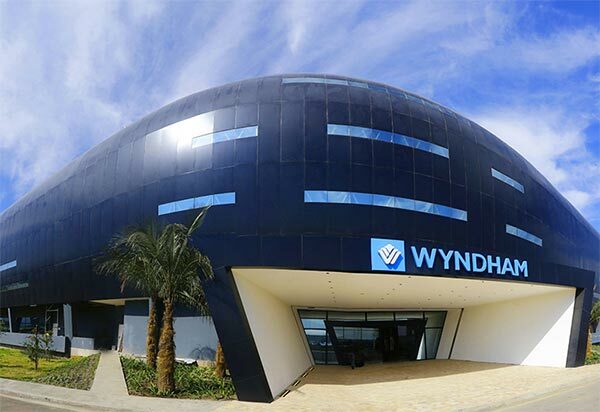 Experience the warmest of welcomes when you visit the newly built Wyndham Quito Airport hotel. 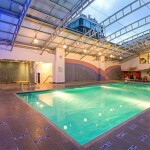 We are a top choice of Quito hotels, with a prime location at the Mariscal Sucre International Airport (UIO). 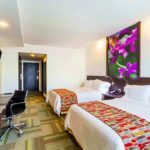 Embrace the spirit of the Ecuadorian capital, with our hotel as a supremely comfortable and convenient home base, and spend your days exploring Quito’s many fascinating museums and breathtaking sites. 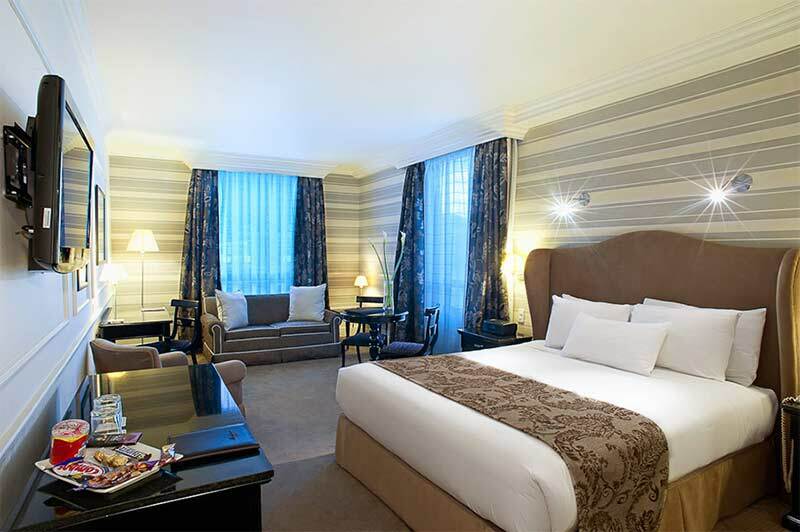 Our hotel is also ideal for guests connecting with local and international flights. 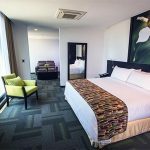 Each of our 150 non-smoking guest rooms are well-appointed with everyday necessities including free high-speed WiFi and special extras such as an iPod docking station, ergonomic work space and digital safe. Pet-friendly accommodations are easily reserved for a nominal fee. 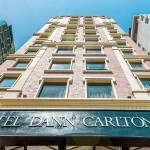 In Quito: Dann Carlton Hotel. 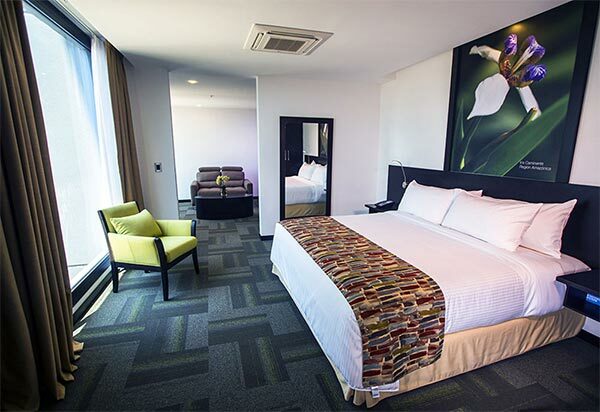 With an elegant and understated decor throughout the hotel, the 212 rooms and suites include air conditioning, satellite television, safety box, radio alarm with CD player, mini bar and refrigerator. 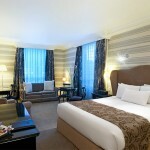 The rooms are also equipped with a desk, wireless broadband internet, and telephone with voice mail. All the areas of the hotel are covered by our complimentary broadband Wi-Fi service. For those travelling without their laptops, we offer personal computers for the exclusive use of our guest. At the Park 20 Restaurant the friendly staff awaits you with a very fine selection of Ecuadorian and International dishes. 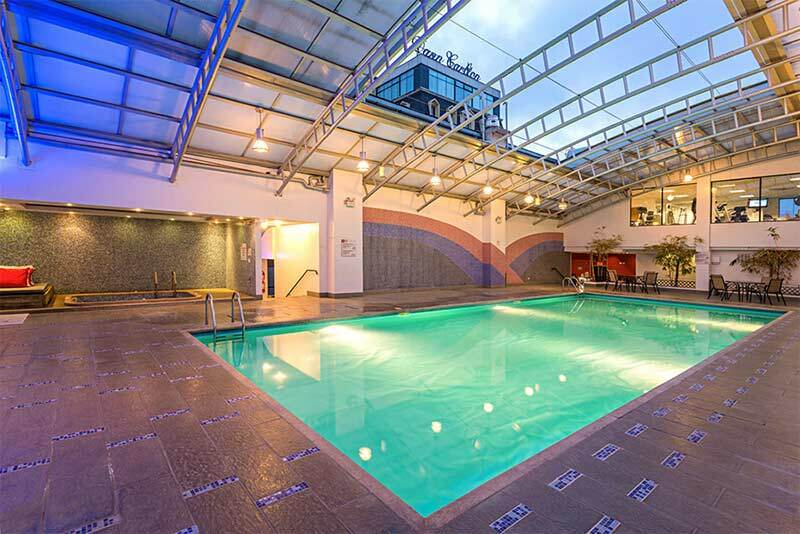 The Hotel Dann Carlton Quito is located near the main shopping centers of the city, opposite the park La Carolina and Exhibition Center Quito. 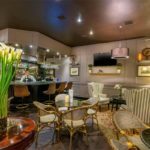 This privileged location makes it a unique hotel in the financial and commercial center of Quito.